Nnamdi Azikiwe University (UNIZIK) is a federal university in Nigeria. The University is situated in the southeastern part of Nigeria Anambra State’s capital, Awka. This citadel of learning was richly named after the prominent Nigerian president, who served as a statesman and the first president we ever had in the first Republic by name, Dr. Namdi Azikwe. It is a double campus university with the other campus located in Nnewi. To give a brief history of the school, it is good to know that Nnamdi Azikiwe University came into being as an offshoot of the defunct Anambra State University of Technology (ASUTECH). In pursuance of the split of the old Anambra State into Enugu and Anambra in the year 1991, the Awka and Nnewi campuses of the former ASUTECH changed to Nnamdi Azikiwe University UNIZIK which was later taken over by the Federal Government of Nigeria by Decree No. 34 of July 15th, 1992. Nnamdi Azikiwe University is one of the many prominent universities in Nigeria and is usually a choice selection for students looking to further their studies in tertiary institutions. This could be as a result of the schools’ wide array of courses offered and it’s big and beautiful campus. Unizik main campus of the Federal University is located at Awka, in which the second campus is at Nnewi (NAUTH and Okofia) also the third campus is at Agulu (Faculty of Pharmacy). The University boasts of a population of 24,706 for the full-time and 12,476 students for the part-time programmes during the 2004/2005 academic year. These numbers have maintained a steady rise over the years. The university, Nnamdi Azikiwe University in diverse also offers a wide range of study courses, which including Natural Sciences, Arts, Medical and Health Sciences, Engineering, Management Sciences, African Languages, Social Sciences, Law, Education, and European Languages. 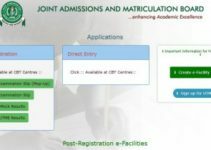 For those who are interested in gaining admission into this university or are already students of the University but need to gain a better knowledge of the workings of the UNIZIK portal online platform and other processes, here is a succinct break down on specific technicalities that will come in handy for both students and aspiring students. One of the major tools provided for students of the University is an online platform upon which a lot of activities are carried out on and through which information is usually dispersed to the students. 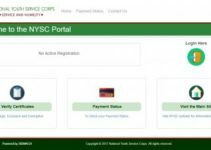 Each student has their own personal profile by which they can use to access their course results and Information, pay their school fees, register courses and other important things. The Unizik Portal is an integral part of the lives of the student and we are going to be elaborating on it. The university offers a wide range of courses in diverse academic fields. The courses are both on undergraduate and postgraduate levels. prospective students can go through the courses that are available on either side of the ladder depending on your academic level. To lay emphasis on this, this write up encompasses to help students on both sides of the ladder to know how to register courses and check results online. Secondly, navigate to and click on “students login” as shown on the page. At this point, you input some personal details to be allowed entrance to your profile. These details are your Password and Username. Then, the next step is to navigate towards the course registration tab. Choose the appropriate session and semester. That is the current or present semester. Register the courses one after each other and after that click submit. After submitting, access will be granted to print out the course form. These steps will come in handy for students especially the freshmen who may find things a bit confusing or complex. 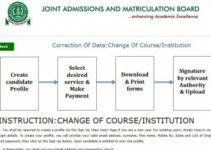 Like stated earlier Course registration is very important as any form of error could result in result in problematic things later on. Checking the results for any student is always an unforgettable experience. It could be either frightening or plain joyful. But either way, there is one thing usually associated with checking one’s result, and this anxiety. Since the school uploads, it results in its portal, checking it online is very ideal and it’s important to know how to go about it. Anyway, to help equip you with this knowledge, here is a step by step on how to check results. Navigate through and click on “students login”. Input password and username in order to gain access. Input the semester and session to check results and that’s it. This is straight to the point and easy way to get this done hence it’s brief and easy nature. With this information, one won’t need to go through the hassle and CA and easily gain access to their results. Now, most of the information above seems to have been specifically for Undergraduate students, so here is a quick rundown for postgraduate students who may encounter few hiccups along the way while registering courses or searching for the result. Log on to the platform using one’s personal username and password. After this, navigate towards the course registration tab and register the necessary courses. Ensure everything is done properly before clicking submits finally. Just like an undergrad, it is also Important for a postgrad student to get the important courses being registered as this could pose a problem if not done properly. After this, go to students log in and input Your password and username. Select the appropriate session and semester that the course in question is in and see your result. Once on there, a quick navigation through will help you find All information regarding the school, its fees and necessary payments needed to be made.